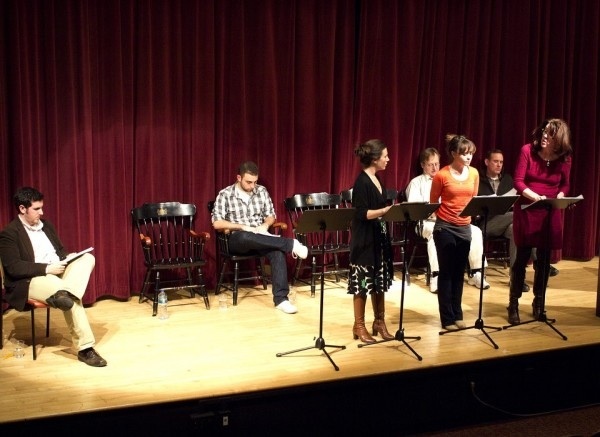 I am pleased to report that my staged reading of Mrs. Hawking at Bare Bones went well. We filled the house and the presentation went off without a hitch. I was very happy with the actors, and the script is in fairly good shape. There’s a few things I want to change since the reading but not too much, so I think it’s in a pretty tight state. The question here is next steps. The audience reacted really well to it, but many of them were like, this is begging for sequels, and it’s action, while stageable, is somewhat cinematic– certainly expensive, which may prevent it from ever being produced. That’s something that has been on my mind. Unknown writers do not often get production with big budgets. I hate to think the play will never see any future because of that. And yet, I think some of its expensive bits– the milieu expressed in set and costumes, the stunts –would be part of the story’s appeal. So I am pondering ways around this sort of thing. I chatted a bit with after the production (and during the lovely cast party reading star hosted) and he spitballed some interesting thoughts. 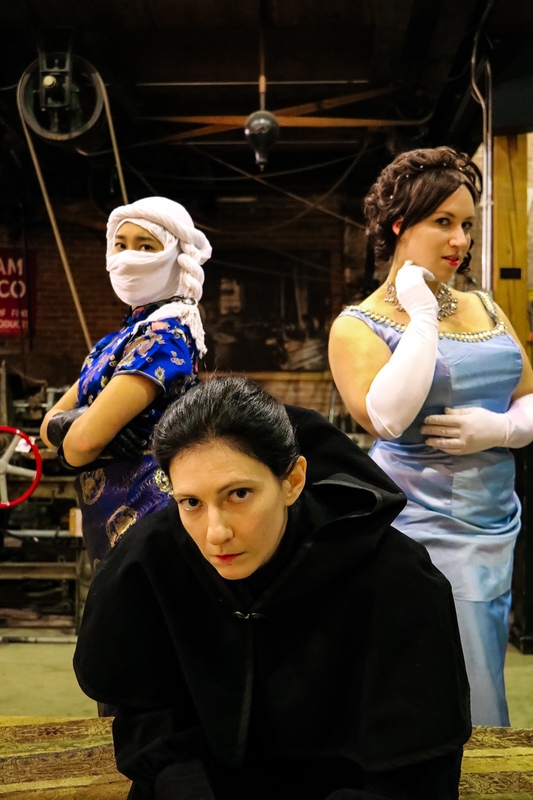 He said it might have a possibility to become a “Kickstarter darling,” appealing to people who like Victoriana, strong female characters, and the neat combination thereof into an action-adventure mystery caper. If I could get the word out to the right people, and a large enough group of them, I could see that. Also the medium is in question. Brad mentioned that it would be fun to pitch it to PBS as a “action Downton Abbey,” which amuses me. I’m sure that’s a little bit too ambitious for them to take me seriously right now, but with some capital, would it be possible to film on my own? I am, I think, capable of adapting it to screenplay. A feature-length already crossed my mind, but I thought maybe that might push the chances of ever seeing it come to production even further. But what if it were in more episodic form? Do each “adventure” as a multi-part “series” of episodes, along the lines of how Sherlock has “series” rather than “seasons”? I am not trained in film production myself, but might that form place it more within the reach of finding someone who could help me bring it to reality? A lot of stuff to think about. I’m not sure what makes the most sense. But I would love to figure it out. 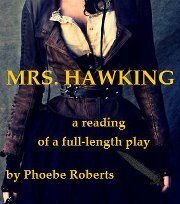 I’m going to the last rehearsal for my reading of Mrs. Hawking. We have done every scene, and I’m very happy with them all, but we’ve yet to do everything in sequence. So we shall hear the whole show together tonight. 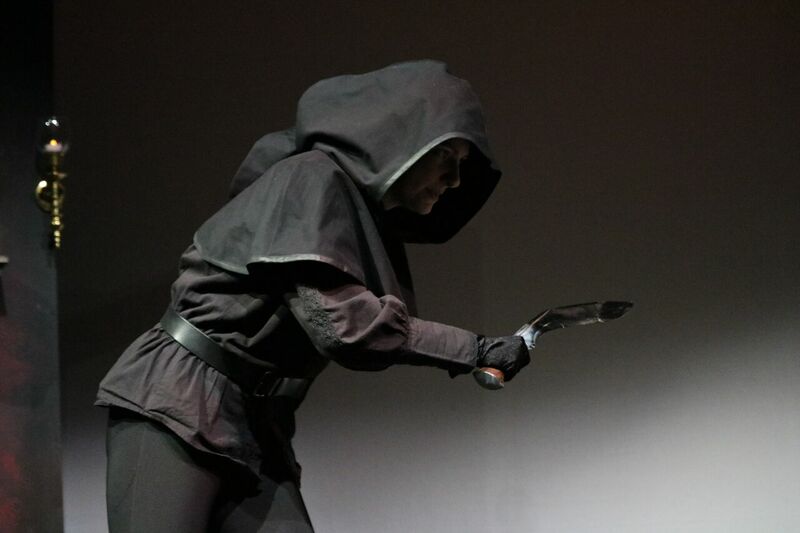 Plus we’ll be adding in the “blocking.” If you’ve ever seen a live presentation of a radio play, and they had the actors in the scene step to the front of the stage while those “offstage” returned to the back, you know what it will look like. I’m confident they will pick things up quickly, they’ve all done such an excellent job so far. Be sure to join us tomorrow night at 8PM at 6 William Street in Somerville! Mrs. Hawking Bare Bones reading cast! Auditions went well on Monday night for my reading of Mrs. Hawking, and I am pleased to announce I have a lovely cast! I was fortunate to have a number of talented people, and it was pretty much a battle between two choices in literally every role. But I am happy with this cast and I think they will not only do a good job representing my piece, but also that they will work well together. Now I need to get down to brass tacks. The script is mostly prepared, but still needs a last go-over before I send it to the actors in case they want to look at it ahead of time. We have rehearsal dates and location (thanks to the wonderfully generous Ms. Hunter) but I need to block out what sections of the script we’re going to work on when. This project is important to me, so I’m excited to get going on it. The reading will happen on April 11th at 8PM at Unity Church at 8 William Street in Somerville, so I hope I will see you there! Got to work on preparing the Mrs. Hawking script for the Bare Bones reading. The real work will be in improving the actual text, which will require serious thought. But there’s also preparing it so that it can be read in the circumstances of the Bare Bones form. I will be able to pick six actors for this reading. That means multi-casting pretty carefully to keep the characters straight, and to keep anyone from having to talk to themselves in a given scene. The biggest challenge is in the stage directions. Because it’s such an action-oriented play, a lot of the stage directions have to be read in order for the story to come across. But frankly six actors is the absolute minimum required to just cover the characters. So as a solution to that, I’m creating a rotating “narrator” role. The stage directions that need to be read will be indicated by formatting the directions as lines under the name Narrator, but it will switch between three, so no actor is double-cast as Narrator in a scene where they are playing a character. I’m planning on choreographing the reading similarly to how PMRP productions work if you’ve ever seen them– the actors will all sit in chairs along the back of the stage until they are in the current scene, at which point they will come up to stand at the front and read. Whoever is the narrator at the moment will act similarly, except they will have a designated narrator space to stand in at the far side of the stage’s edge. Practicing the rhythm of coming out into place and returning will be an important part of rehearsal. I will need three men and three women. And I would love it if you came out to audition. If you would be so kind as to lend your voice to this, go to the production website here and sign up for an audition slot. I would be very grateful for your help in bringing this piece forward. The Theatre@First Bare Bones website has now been updated with information about the reading of Mrs. Hawking. If you would care to audition, and I hope some of you talented people might, go to this website and fill out the form to schedule an appointment. It will be held starting 7pm on Monday, March 4th at Unity Church at 6 William Street, Somerville, MA 02144. The process should not be arduous, just a handful of rehearsals over the course of March, and there won’t be any need to memorize lines as the whole thing will simply be reading straight from the script. The one and only performance will be the evening of April 11th at 8pm in the same place as the audition, with a single dress rehearsal the night before. This is, if I may say so myself, a really fun script. It has strong female characters, strong female characters, and lots of conflict, action, and excitement. Come on and lend your talent to helping me make this script the best it can possibly be! Got a staged reading at Bare Bones! I just got word from Theatre@First’s lovely John Deschene that my play Mrs. Hawking has been accepted as part of Bare Bones, their series of staged readings. I’m really pleased to hear it, as getting readings is important to the development of new plays, and I really care about bringing this piece along. The reading I had at my school was very instructive and helped me figure out a lot of things that need changing and fixing. Having another reading to prepare it for will really help me take it to the next level. I only just sent in my acceptance, so there’s nothing posted about it and I haven’t gotten any specific information about it yet. But according to the website, they provide space for auditions the week of March 4th, so presumably they will let me have an open call for actors then. I get to choose six people. That’s probably one fewer person than I’d like, but I may just have to multi-cast a little more, and possibly rotate off who reads the stage directions. You can’t really do this show without the stage directions being read. And then the reading itself will be April 11th. Not a long process for a full-length play, but for a reading only a few rehearsals will be needed. Hey, the first reading was done completely cold! I am glad to have the chance to further develop this piece, and to get my work out there a little bit more. Every little bit of positive attention could bring me a little closer to getting productions, right? And if you might be interested in helping me out, I’d love it if you came out to audition. Especially if you might be able to do an English accent. It worked similarly to a radio play, if you’ve ever seen one. The actors come up to the stands when they are present in the scene, and return to the chairs behind them when they are “offstage.” The only downside was that the actor playing Nathaniel made the choice to make him, in my opinion, excessively absurd. I don’t mind if he’s funny and even a little silly early on, but this actor decided to maintain that throughout the entirety of the piece. If you’re still not able to take him seriously by the final scene, it pretty much kills his arc. But other than that I was happy, and it turned out to be extremely instructive. It suggested a number of edits I can make, which I will work on forthwith. But I got a lot of complements from my teachers and fellow students, which felt great. And I was fortunate to have a nice crowd of my own lovely friends there to support me, who I believe also enjoyed it. Thank you so much for being there. I think I had a bigger crowd than they see at these student staged readings! So I feel pretty good about the whole thing, and I’m eager to get working on the edits. I want this piece to be the best it possibly can be. Tonight I had a phone conversation with Brett Marks, the gentleman who is the director for my reading of Mrs. Hawking at Lesley. It was a very interesting conversation, but I had no idea what to expect going in. This is a weird process, I must say. I believe that the actors were arranged by Kate Snodgrass, an awesome professor in my program and a major figure in Boston theater. But as I doubt she read my play, the actors could not have been cast based on fitting the roles. What I suspect happened is my adviser Jami Brandli, who I liked very much, passed on the play’s requirements in the most general terms– a middle-aged woman, a young woman, two middle-aged men, et cetera. Okay, I guess I should have expected as much, but there are things I kind of hoped for in order to really hear how the play sounded. For example, I want to hear if I really emulated the Victorian voice, so ideally I’d get to hear it read in an English accent. The director implied that it might in fact be possible with this group, but I’m sure such a thing wasn’t taken into account in the casting. Also, there’s no rehearsal time. It’s just a cold read. Again, that’s fine if that’s how it works, but I do wonder what the director has to do if there’s no time to work on these things beforehand. Of course, he may just be solely for my benefit, getting the perspective of somebody who reviews scripts for production professionally. And I was glad of what he had to say. He had a lot of good responses, and though he was trying not to criticize, he gave me his early reactions to a lot of things that pointed me in the direction of what I should possibly work further on. For example, he got me thinking that a lot of things I assume the viewer understands about how Victorian culture works– such as how it would be very odd for a wealthy society matron like Mrs. Hawking to not have a housemaid –might not necessarily be clear to somebody who wasn’t as educated on the subject as I am. He also had questions about the figure of Colonel Reginald Hawking. I want him to come across as mostly a good, decent man, but one who completely invalidated the person his wife truly was because it didn’t fit into his patriarchal schema. But the director suggested that if that doesn’t come across, Mrs. Hawking’s anger with him may not be sympathetic. I want it to seem harsh, but at the same time understandable. Also, and this was a bit vindicating, he found act one scene two where Mrs. Hawking and Mary are getting to know one another to be excessively abrupt. I thought that myself, and in fact it was longer in the original draft, but after receiving critical feedback that it was too slow, I cut it. It pleased me to hear a professional director agree that there needed to be more of the two of them getting know one another. Also, he was familiar with the writing styles of those like Coward and Wilde that I was working to emulate. As great as the instruction I’ve been receiving has been, one perspective I haven’t had much of is whether or not I achieved that emulation. It was cool to have somebody be able to tell me I did that. I’m excited to see how it goes. I wish I had time to incorporate some of his suggestions, but I’ve already printed all the scripts. So we’ll see what happens, if you join me this Tuesday. Remember, it’s this Tuesday January 8th from 6 to 8PM in the Marran Theater in the Student Center, Doble Campus, Lesley University at 29 Everett Street, Cambridge, MA.